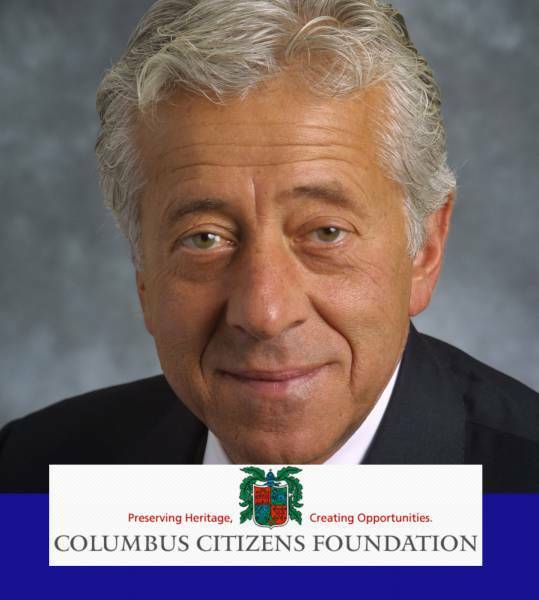 The Columbus Citizens Foundation announced today that it has named foundation member Robert V. LaPenta as the Grand Marshal of the 72nd Columbus Day Parade, which will take place on Fifth Avenue on Monday, October 10, 2016. Mr. LaPenta is a driven and successful executive and philanthropist, renowned for his leadership experience in the aerospace, defense and electronics industries. The annual Columbus Day Parade, organized by the Columbus Citizens Foundation and presented by the Conair Corporation, is the world's largest celebration of Italian-American heritage and culture in the United States. The Columbus Day Parade was first started in 1929 when New York City businessman and Italian immigrant Generoso Pope led a parade from East Harlem to Columbus Circle. The parade has since become an ongoing celebration of the contributions of Italian Americans to the landscape of New York and to the United States. As Grand Marshal, Mr. LaPenta will lead dozens of marching bands and floats and hundreds of marching groups in a non-stop parade of family entertainment and Italian-American celebration. Raised in a three-family home in Yonkers, New York, Mr. LaPenta was one of three children raised by first generation Italian-American immigrants and currently resides in Westport, Connecticut. Mr LaPenta is Founding General Partner of Aston Capital Partners, a newly formed private investment company specializing in military intelligence, homeland security companies and companies involved in green technology. He often speaks of the importance that education has played in the development of his career and has said that, instead of comic books, he grew up reading the business pages. Mr LaPenta was the first member of his family to attend college, and credits much of his success to hard work and focus. At his alma mater, Iona College, he is responsible for donating the largest single gift in that institution’s history. He has been an active and proud member of the Columbus Citizens Foundation since 1994, and was previously an Honoree at the Foundation’s 2011 Columbus Day Celebrations. "Mr. LaPenta is a game changer in the world of business, and we are incredibly honored to have him not only as Grand Marshal of this year’s parade but also as a member of our foundation," said Angelo Vivolo, President of the Columbus Citizens Foundation. "His selection as Grand Marshal exemplifies the core purpose of the Columbus Day Parade – to celebrate the achievements, success and heritage of the Italian American." Robert V. LaPenta has more than 40 years of executive management experience and has generated billions of dollars of shareholder wealth throughout his professional career. He is Founding General Partner of Aston Capital Partners, a newly formed private investment company specializing in military intelligence, homeland security companies and companies involved in green technology. Until August 2011, Mr. LaPenta was Chairman, CEO and President of L-1 Identity Solutions, which he co-founded in June 2005 with a $100 million investment in the biometric, authentication and credentialing company Viisage. In five years, Mr. LaPenta built the firm into the largest biometric identity solution company in the world. It was acquired in August 2011 by Safran Morpho for $1.6 billion. Previously, Mr. LaPenta co-founded L-3 Communications in 1997, following a successful 24-year executive career at Loral Corporation. He and a partner formed L-3 as a leveraged buyout of ten advanced electronics business units from Lockheed Martin. As President, CFO and board member of L-3, he guided the company from $500 million to $8 billion in annual revenue and a stock-price appreciation from $5 to $170 pre-split. In various positions culminating as the corporate Senior Vice President and CFO for Loral Corporation from 1972 to 1996, he helped grow revenue and market capitalization from $20 million to $7 billion. Mr. LaPenta’s hobbies include golf, boating and skiing in addition to owning and breeding thoroughbred horses since founding Whitehorse Stables in 2001. Mr. LaPenta’s horses have won the Belmont Stakes, the Florida Derby twice and several other graded stakes races. War Pass, one of Mr. LaPenta’s most successful horses, won the 2007 Breeders’ Cup Juvenile and was voted the Eclipse Award as the champion two-year-old. To date, his horses have earned over $30 million in purses and sales. Mr. LaPenta is a graduate of Iona College, a member of the Board of Trustees and has donated approximately $10 million towards the construction of the LaPenta Student Union Building, the Ryan library, and the trading floor and business center for the Hagan School of Business. Mr. LaPenta recently committed an additional $17.5 million to help build a new business school at Iona College which is expected to be completed in 2018. Mr. LaPenta’s family includes his son, Robert V. LaPenta Jr, daughter-in-law Aryn and three grandchildren. He and his wife Laurie live in Westport, CT.